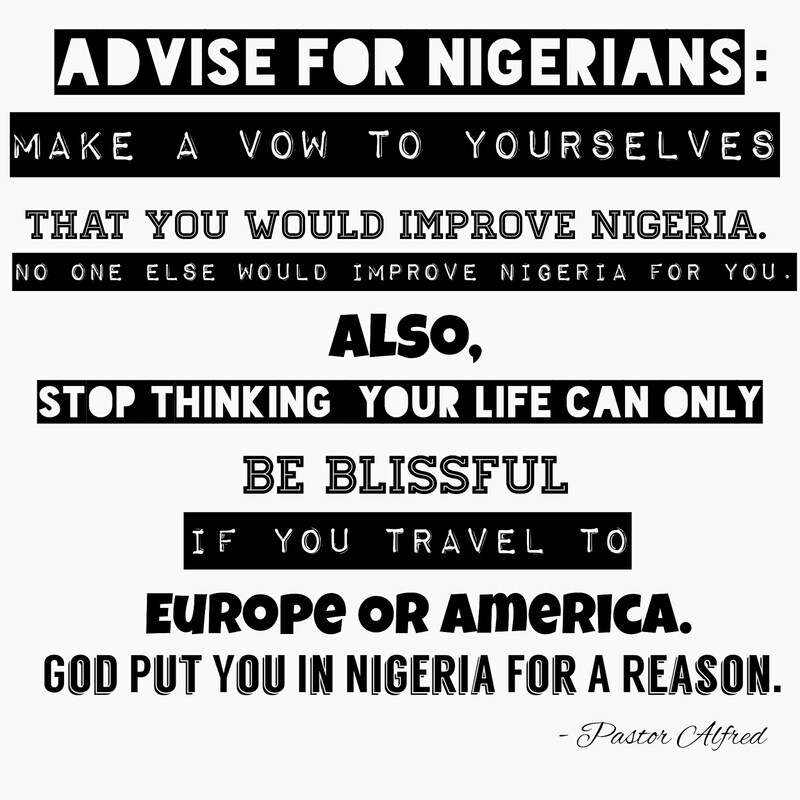 Make A Vow To Yourselves That You Would Improve Nigeria. No One Would Improve Nigeria For You. (Unless You Want To Be Re-Colonized. Then Send Your Application For Re-colonization Letter To Buckingham Palace).